I was fortunate to obtain a copy of all of Lieut Col Eldin Sergeant's correspondance and notes. The following is one of the articles Sergeant wrote while trying to put together a complete set of ZAR coins. I read this at the October meeting of the Natal Numismatic Society. â€œThe Collection of Transvaal Coins and Medalsâ€. New Years Day, 1903, 1 Plowden Buildings, Temple, London. About a month or so, after the conclusion of the War in South Africa on 31st May 1902, and whilst at Kroonstad, Orange River Colony, awaiting orders for home, I conceived the idea of forming a collection of Transvaal coins and medals by way of occupying the spare time in camp. My first purchases were made in July 1902, after which, finding information regarding the coinage and the more rare specimens difficult to obtain from local sources. I was constrained to write to, and advertise in, the leading Transvaal newspaper. Fortunately, my first letter to the â€œTransvaal Leaderâ€ brought a private reply from Mr. A.L Snell of Krugersdorp who most kindly forwarded a copy of an article contributed by him to â€œThe Sphereâ€ containing valuable information on the Kruger Coinage. Owing chiefly to Mr. Snellâ€™s courtesy, I was thus enabled to obtain a complete collection of Transvaal coins and medals, many in Mint state and all in excellent condition, by the end of August 1902, just two days prior to the departure of my battalion from Kroonstad for England. On arriving in London from South Africa in October 1902, I found that Kruger money was cheaper in England than in South Africa. This however, cannot be regarded as any criterion of its real value, very few of the rare specimens exist in really fine condition and there are certainly not many in London. The recent low value of Kruger coins in London was doubtless due to the hitherto small demand for them, their comparatively plentiful influx during the recent war and the very imperfect condition in which the rarer specimens were usually brought over. In France very large prices are being paid for the genuine â€œBurgers Sovereignâ€ and for all the double shaft Kruger specimens. Not only are these described as desirable curiosities, but also as reminiscences of the great struggle, both financial and political. The Kruger coinage is certainly handsome, it will most assuredly be recalled ere long and the future value of a complete set of Transvaal coins and medals therefore, cannot at present be estimated. This collection was gathered together at a cost of Â£95.16.6, though it is probably now worth Â£203.19.6. Mr. C Allon values the imperfect collection described in â€œThe Sphereâ€ at Â£100. As times roll on, the value of a perfect collection of these coins and medals must necessarily increase, even if the specimens be regarded from a purely historical standpoint. The paucity of this coinage alone should tend to enhance its value from a numismatic point of view. It will probably never be repeated, notwithstanding its sentimental association. The Transvaal coinage appears to have been struck essentially for circulation and not for show, and was utilised by the Burgers of the Orange Free State in common with those of the State responsible for its origination. Proof coins were never issued to the public and the more rare specimens of the early coinage are very hard to procure in perfect condition. To obtain them in Mint State is exceedingly difficult. Doubtless, the enormous quantity of dust, the commonest product of the Transvaal and Free State, circulated at various seasons of the year is to a great extent responsible for the worn condition of the modern coinage. The â€œBurgersâ€ sovereigns of 1874 are rare and highly valued. With the exception of the one in this collection I was only offered two genuine specimens. One, an imperfect coin at Â£10, the other, a fair specimen only at Â£30. Very high prices have been paid for these coins and the recent war seems to have given them a sentimental value on the continent, especially in France, Germany and Switzerland. Some few â€œBurgerâ€ sovereigns that were not struck in 1874 among the original 837. These however, are readily detected as modern productions, when compared with the genuine article. Dealers usually ask Â£15 for the modern â€œBurgersâ€ sovereign. An aluminum counterpart of this coin also exists, it is beautifully struck but, needless to say, worthless. During the recent war Kruger coins, especially the double shaft sovereign, half sovereign and crown, and the single shaft crown of 1892, were sought and collected with extraordinary zeal by the troops. On some few occasions, when in isolated districts, certain fortunate individuals received single shaft crowns at face value by way of change. Such transactions were matters for congratulation, and were subsequently referred to with much appreciation by those interested. The sets of Kruger money usually â€œmade upâ€ (i.e. collected) for sale by dealers in South Africa contained the double and single shaft sovereigns of 1892, the double shaft half sovereign and crown, single shaft crown, half crown, florin, shilling, six penny piece, three penny piece and penny of 1892 and the sovereign of 1900. These sets, representing as they do the first and last issues of Kruger money, sold readily from Â£17 to Â£20. Good specimens sometimes fetched higher prices. Even the 1892 penny was at one time selling readily at 25/-. The 1893 half sovereign is rare and valuable. Half sovereigns of every date were selling at a considerable premium in 1902, as also were all the silver coins of 1892. The sixpenny and the three penny pieces of every date were eagerly sought by collectors, numbers of these coins were purchased at many times their face value during 1902. The 1898/99 sovereign is a great curiosity. There is a mystery connected with this coin that has yet to be fathomed. It is rumored in Pretoria that the 1899 dies miscarried, but when, how, or by what means, I have been unable to ascertain though I have written many letters of enquiry on the subject. With regards to the two plan discs value Â£ each, made in Pretoria in 1900 and circulated from Machadodorp by Burghers, one of them has a plain edge, the other a raised rim. No disc was struck at any time with a â€œmilled edgeâ€. The Burghers were given to describing the raised rim as a â€œmilled edgeâ€, hence the erroneous report that a plain disc with a milled edge had been struck. The Z.A.R 1902 or the Pilgrims Rest sovereign is one of the most interesting coins in the collection. It even â€œtalks to oneâ€ of the last efforts of a dying Executive Government to perpetuate its gold currency. This coin may become priceless in time. At all events it may justly be regarded as a characteristic full stop to the history of what might, under other circumstances, have been a wealthy and a dominant nation in South Africa. The three Pretoria Delagoa Bay Railway medals issued in 1895 are very difficult to procure. The large silver medal one of only 50, being highly valued and regarded by many of the Burghers as symbolizing the acme of progression, therefore priceless. These three constitute the only medals issued by the Transvaal Government. 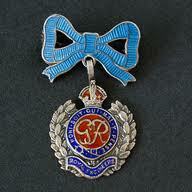 Towards the end of the recent war a rumor was current to the effect that a medal had been struck by the Burghers. It was reported to bear on the obverse the arms of the Transvaal combined with those of the Orange Free State, and to have been intended for issue to the Burghers of the Federal Boer Forces in the event of their having been victorious. This rumor, though doubtless, founded on intention, had no foundation in fact, as many of the more prominent and educated Boer Commanders assured me. As far as it is possible for one to gather from careful enquiry, it would appear that this collection of 59 Transvaal coins and medals is the only complete one in existence. To procure it necessitated a great number of letters, telegrams and many interviews, together with the exercise of some amount of patience and perseverance. Nevertheless, it afforded me considerable amusement during July and August 1902, and that it may contribute to the pleasure of the appreciative numismatist or keen collector, or to that of frequenters of some British Institution is the sincere hope of. There are different measures by which the purity of Gold may be expressed. The system of carats, spelt karats in the United States, is the most widely used among jewellers and the public in general. By this system the quality or fineness of the gold is expressed as the number of parts of the metal in twenty four. So 22 carat gold, the normal standard of good quality jewellery, consists of 22 part gold alloyed with 2 parts of a more base metal, usually copper or silver. If copper is used, the alloy has a reddish colour. If silver is used, it gives the alloy a paler look. Another common alloy used in the jewellery trade is 18 carat, in which 18 parts of gold are mixed with 6 parts of the base metal. Glossy magazines frequently advertise offers of jewellery made of what is enthusiastically described as â€œgleaming 9 carat goldâ€. The gleam may be more due to a judicious polish with jewellers rouge than to the fine quality of the gold, since this consists of 9 parts gold to 15 arts base metal. The alloy can legitimately be described as gold, but it is obviously not as fine a quality as the 14, 18 or 22 carat alloy. In numismatics, a system of fineness is normally used instead of the carat measurement. In this system, the pure gold is reckoned to have a fineness of 1,000 or, expressed a different way, to be 1,000 parts fine. In this scale, therefore, 22 carat gold is described as 917 parts fine, this being the purity calculated to the nearest whole number, by the same scale 9 carat gold is precisely 375 parts fine or may be said to have a fineness of 375. A third method of describing the quality of gold is simply to express it as a percentage. Gold with a fineness of 917 has a purity of 91.7% or 22 carats and a fineness of 750 is equal to 75% or 18 carats. All this explains an apparent anomaly in coins. For example, Bahamas gold 50 dollar coins which feature a lobster on the reverse and were issued in 1973, in Proof and ordinary condition, being offered by a dealer at a price appreciably lower than the cost of a British Elizabeth II sovereign in uncirculated, not Proof condition. As both coins are virtually the same size, 22mm in diameter, this seems odd. But a comparison of their fineness shows that the two coins are not all that similar. The sovereigns have a fineness of 916 Â²â„3, usually expressed to the nearest whole number as 917. This means that they are minted from 22 carat gold. The Bahamas 50 dollar Proof coins, however, have a fineness of 750, meaning that their quality is 18 carat gold. As well as the Proof coins, the Bahamas also issued 50 dollar gold coins for what was said to be ordinary circulation, though there was not the remotest likelihood of any of them having been spent in the shops and markets. These ordinary 50 dollar coins had a fineness of only 585, so they were made of 14 carat gold. The weights are also slightly different, the 50 dollars weighs 7.27gms, while the sovereign weighs 7.99gms. As a result, the amount of gold is different, the 50 dollar coin contains 0.1367 of a troy ounce of gold and the sovereign 0.2354 of a troy ounce, a difference of almost one tenth of an ounce. The word carat has an interesting story behind it. Arabs and Africans realised long ago that the seeds of the carob tree were remarkably uniform in size and weight. Because of this the seeds were often used for weighing small objects such as precious stones and pieces of gold. The Arabic word for the pod of seeds is â€œGIRATâ€ and the seeds themselves are known in Greek as â€œKERATIONâ€, anglisied as carat. Even when more scientific methods and units of measurement were introduced, the carat remained the standard unit of purity for gold. It is still used as a measurement of weight for precious stones such as diamonds, being equal to one fifth of a gram. When one looks at the history behind the making of the ZAR Gold Veld Pond in the field, one cannot but look at the similarities it has with the Gold German East Africa 15 Rupien or better known as the Tabora. Only 14 years seperated the minting of the two coins and both have a special place in numismatic history. Both coins were minted by improvised mints. During the First World War a German General stationed in German East Africa was very resourceful. When their supplies were cut off General von Lettow Vorbeck made rubber by tapping rubber trees and distilled his own alcohol. At the beginning of 1916, the authorities administering German East Africa found themselves hampered by a shortage of coins caused by the British blockade so it was decided to mint large quantities of brass and copper 5 & 20 heller coins as well as smaller numbers of gold 15 rupee pieces. An improvised mint was set up in the railway workshops at Tabora and Dr Schumacher, the manager of the Kironda Gold Mines at nearby Sekenke, was entrusted with the task of striking the gold coins. His staff included 7 Sinhalese goldsmiths recruited from Dar es Salaam. The bullion used was extracted from the Sekenke gold mine. The relatively simple machinery used for striking the coins included blacksmithâ€™s forges for melting the metal and crucibles from the Sekenke gold mine. A mill for rolling rubber sheets was brought from Dar es Salaam and adapted for flattening ingots into metal strips, and a small hand press was used to punch blanks from the hot strip. The coins were struck by means of a modified hand operated hydraulic pipe bending machine. 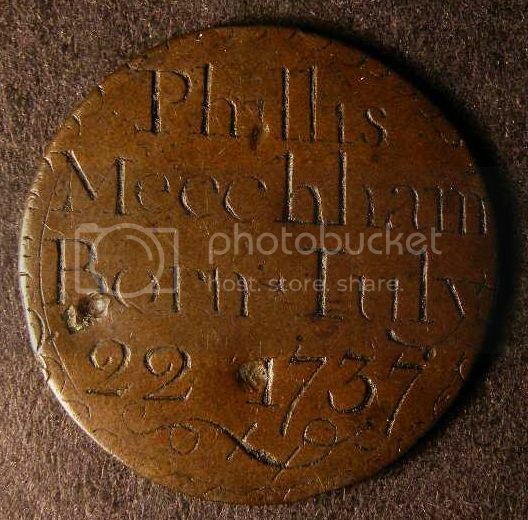 The coins had a smooth edge, no attempt being made to obtain a milled edge by means of a serrated collar. 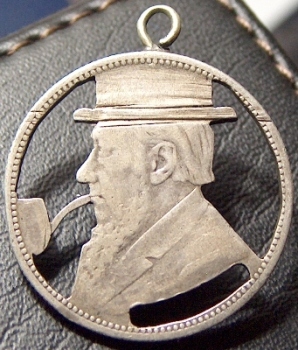 A competition was held for the obverse design and was won by R. Voght whose drawing depicted a charging elephant with a somewhat fanciful likeness to Mount Kilimanjaro in the background. The date 1916, below which was the mint mark T for Tabora, was placed under the elephantâ€™s feet. This design was engraved by a Sinhalese, Vattheare, who also designed and engraved the reverse die depicting the imperial eagle surrounded by the legend DEUTSCH OSTAFRIKA and below 15 RUPIEN. 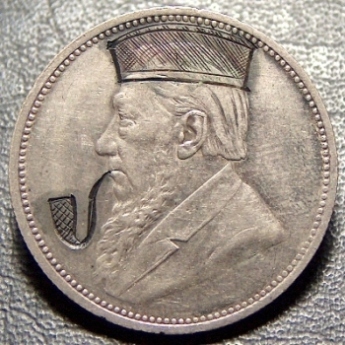 The proclamation authorising the coin was signed by the Governor, Dr Heinrich Schnee, at Tabora on the 15th April, 1916, and its standard weight laid down at 7,168 grams with a permissible error set at plus or minus one hundredth. 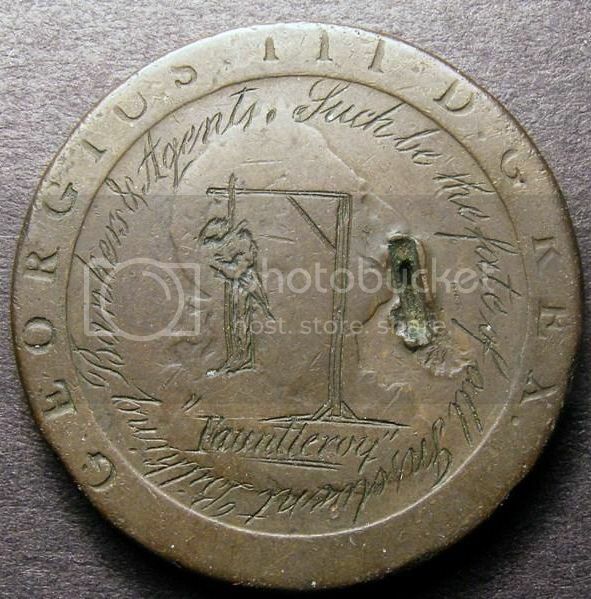 Notwithstanding the primitive conditions and implements with which the coin was struck, Dr Schumacher records, with some pride, that he was able to achieve an overall average weight of 7,168 grams. As the rolling machine was unable to produce strips of the same thickness, the metal was rolled to somewhat more than the uniform width that was required and the punched overweight blanks were then filed and emery papered down to the proclaimed weight by hand. The work was performed by the 7 goldsmiths who were soon each able to turn out up to 30 adjusted blanks per day. After the coins had been struck they were scrubbed with brass brushes and polished with soaptree oil in order to remove and salvage any loose fragments of gold adhering to the coin. This accounts for the somewhat roughened appearance of so many of these pieces. The hand operated pipe bending machine that was used for striking the blanks broke after two and a half months and manufacture of the coins was transferred to Lulanguru, 25 kilometres west of Tabora, where a press, formerly used for extracting oil from groundnuts, was adapted for use. This machine, being steam driven, was much more efficient than the previous hand press, enabling a larger quantity to be struck. The bullion produced by the Sekenke gold mine was only partly refined and contained from 15% to 20% of silver. As the German authorities had decided the coin should contain 75% pure gold it was necessary, depending upon the silver content, to add from 5% to 10% of copper to the alloy which accounts for the coin varying in colour from a light to a reddish gold. Although the Tabora 15 rupees was tariffed as equivalent in value to the regular German 20 mark coin this latter piece weighed 7,965 grams and contained 7,168 grams of pure gold. If no cognizance is taken of the 15 rupees silver content, it was therefore intrinsically worth 25% less than the gold 20 mark piece which it supplemented. The existence of two reverse dies is known. According to Dr Schumacher a total of 16,198 gold 15 rupee pieces were struck of which it is thought that 6,395 coins were struck with the first die and 9,803 with the second. Production of 15 rupee pieces came to an end with the close approach of the Allied forces on two fronts, the British and South African troops from the East and the Belgians from the West and it was units of this latter force who finally occupied Tabora on September 19th 1916. These gold coins are not infrequently found in this country and it is evident that a fair number of these historic pieces were brought back as mementos by the returning South African soldiers at the cessation of hostilities in East Africa. All serious collectors will one day have to face that awful question â€“ are my coins showing any signs of surface damage in the form of corrosion or tarnishing? The pollution in the air that we breathe, the salt-laden â€œfreshâ€ sea air, and the material in which we store our coins can all contribute to a deterioration of the surface quality of coins. Particularly susceptible to this are coins made of silver, copper, zinc, lead and aluminium, or alloys thereof. The most common cause of surface damage by some form of corrosion on a coin comes directly from storing that coin in material made from Polyvinyl Chloride (PVC). Certainly the most used coin storage types here in South Africa are the popular PVC â€œflipsâ€, or the clear plastic (PVC) pages having sleeves divided into coin compartments for filing into albums. Both of these very convenient storage methods use soft and very flexible PVC, which is easy to handle and there is little danger of scratching the coins. But this is precisely where the problem starts! A â€œplasticizerâ€ material is added to the PVC compound to induce flexibility to the finished product. Over the life of the product a very minute chemical reaction continually takes place, whereby the plasticizer causes the other chemical constituents in the PVC compound to migrate into the atmosphere in very minute quantities. The chloride component in the PVC migrates as chlorine gas, which in turn meets up with the moisture (humidity) in the air. Moisture (water) is made up of 2 parts hydrogen and one part oxygen (H20). The chlorine gas combines with the hydrogen (all in very minute quantities) to form hydrochloric acid! Other chemical reactions also take place in this migration process, and together with the hydrochloric acid problem, there is little wonder in the fact that the surface of your beautiful brilliant uncirculated coin is going to be attacked! What are the signs that a damaging process is taking place on a coin? Gold Coins: Gold is impervious to acid, and to oxidation (rust), and to most other chemicals. A pure gold 24-carat (.9999) coin will not tarnish or suffer acid/chemical damage. Nut surface damage can arise if the gold has been alloyed with another metal such as copper or silver. Generally speaking the result will be a mild tarnishing or â€œold goldâ€ effect, and not serious at all. In extreme cases a â€œblackeningâ€ can occur. It is critical to note at this point that the coin surface damage does not result only from the coin being exposed to soft PVC or salt-laden climates, but also very often results from incorrect handling. Never touch the face (obverse/reverse) of a coin, only handle it by the rim. Handling the coin by touching the face will leave a deposit of body oils, etc on the coin, whether our hands are dry or sweaty, and might even go as far as leaving a fingerprint, which manifests itself much later. Human body oils contain body acids, which will attack the coin. Sneezing or coughing over a coin can have a similar damaging effect. All of the above damage symptoms, if left unchecked, will eventually render the coin valueless. An important aspect in considering the surface quality of coins generally is knowing and understanding that many (if not all) coins start out with a natural form of metallurgical protection. In that nano-second fraction of time when the die strikes the blank with enormous force, the metal blank flows liquid-like into the shape of the hardened die. In that moment of time a layer of what I can only call oxide is left on the surface of the coin. This layer protects the surface if not interfered with by incorrect handling or aggressive chemicals. â€œMint lustreâ€ is embodied in this layer. If a coin is not subjected to incorrect handling or aggressive chemicals it will often over time develop a â€œpatinaâ€ or â€œtoningâ€, which if evenly formed over the surface can significantly enhance the appearance of a coin. Care should be taken however in this instance as a heavily patinated proof coin may have surface scratches or blemishes concealed under the patina. Similar corrosion and damage issues can occur on coins struck for cupro-nickel, steel, iron, brass, zinc and lean, and to a lesser extent coins struck from aluminium. Now the burning question! What do we do about damage detected on a coin? How do we clean a coin? Should we clean a coin? Â· Practising on similar low value coins. Judicious and very careful cleaning of a coin need not devalue its collectibility of value. Incorrect cleaning most certainly will. I cannot stress strongly enough, only clean a coin if it is absolutely necessary for the preservation of that coin. If a high-grade coin in only dirty â€“ leave it. If a gold coin has developed an â€œold goldâ€ or similar patina â€“ leave it. A really dirty or stained gold coin should only be cleaned with a mild solution of lemon juice and water, rubbed with a wad of cotton wool. Whilst gold is impervious to acid, stronger acids can attack the copper or silver alloyed into gold. Pitting or marking can result. There are several methods of cleaning silver coins applied by the experts, and which method is more suitable, depends on the nature of the damage, and your own level of expertise. Swabbing in Solvents: In many cases the deposit adhering to the coin can be dissolved off the surface. The question is which is the best and most suitable solvent. Trichlorotrifluoroethane: Recommended by Bonser who apparently obtained good results. The problem here is / doubt whether solvents comprising this chemical are commercial available today as it causes a â€œCFCâ€ environmental problem. Acetone: Excellent results are obtained with Acetone, which is apparently safe and evaporates completely and leave no residue. Mild Soapy Water: Works for less serious contamination on a coin. I have had good results washing dirt and mild PVC deposits off coins using this process and then rinsing the coin afterwards in running water and patting dry with a soft tissue. Other mild cleaning detergents can also be used, possible mixed with a very mild solution of ammonia. Dipping In Silver Dip: Can give very good results if dipped for only a few seconds. The cleaning method is dangerous and can severely damage the surface of a coin! Cleaning Copper Coins: Copper and bronze coins can be cleaned in much the same way as silver coins. Care should be taken in cleaning methods, and in rinsing/washing cleaning solution residue off the coin after the cleaning process. I have had success in dabbing a light layer of â€œ3 in 1â€ oil onto the coin surface after cleaning and before storage. Dipping copper coins is a definite no-no. Aluminium, Brass, Tin, Zinc, Lead, Iron, Steel etc. A good solvent such as benzene swabbed with soft tissue paper should clean most deposits off these coins. Cotton buds can be used to get into difficult areas in the design and lettering. Hot soap water will work where deposits are less severe. Rinse the coin after cleaning and apply a thin layer of â€œ3 in 1â€ oil. Always remember that the main motive fro cleaning a coin should always primarily be to stop and prevent further damage to the coin caused by tarnishing or some form of corrosion. There are also cases where a higher-grade coin has significant deposits of dirt on it that really needs to be removed. Cleaning a high-grade coin should be approached with much trepidation! How does one prevent coins from being exposed to the various causes of corrosive damage? Obviously correct handling techniques and employing the most suitable storage methods can only address this. As has been explained earlier in this paper PVC based storage methods can cause major problems. There are many other materials from which coin storage systems are made that present no corrosive threat to coins. Primarily these products are made from chemically inert materials such as Mylar, polyethylene, or acrylic. Unfortunately it is very difficult to source most of these products on the South African market. I believe that the reason for this is that many of these products are relatively expensive, and that collectors are reluctant to buy them. It remains a mystery to me that collectors will spend significant sums of money on coins, but will not invest in proper and safe storage systems. Various safe coin storage options are available. The following is an article that was done for me by the late Eli Levine. In 1968, one Gerhard Van Niekerk caused great excitement in the numismatic fraternity of South Africa. He said that he had found the legendary Kruger Millions in Europe, and had brought them back to South Africa. He sold magnificent 1900 Zuid-Afrikaansche Republiek Ponde to any takers for the bargain price of R30 each compared to the going price of R40 each for uncirculated Kruger Ponde. The value of the gold in each coin was then around R6.50. They were absolutely beautiful, magnificently struck brilliant proof like uncirculated coins. The breast of the eagle was full, as in the 1892 and 1893 Ponde and its claws were very clear and well defined. The claws were in fact, even better than those of the proof 1892 ZAR Ponde. Although the general comment was that these coins were too good to be true, no one suspected the truth. 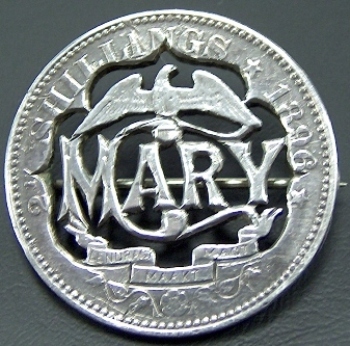 Suddenly, some numismatists deduced that these coins must be forgeries, since the master dies from which the working dies were produced were becoming more and more worn over the years and from 1895 onwards the detail of the eagleâ€™s breast, and of its claws appeared flatter and flatter as the years went by. The only 1900 Ponde that had been seen until the arrival of the â€˜Kruger Millionsâ€™ coins had very flat breast and claw detail. Perhaps for the wrong reason, the right answer was arrived at. The coins were slated as FORGERIES! â€œI am sick and tired of them yapping at my healsâ€ Van Niekerk told me, so I gave one of the coins to the S.A Mint and told them to test it. They could do what they liked with it, even cut it up, but in the end, they must tell me whether itâ€™s a genuine or a forgery. Lo and behold, the Mint issued a certificate stating that the coin was GENUINE. For a number of years, Van Niekerk gaily sold his precious coins with copies of the Mintâ€™s certificate. Researchers such as Matthy Esterhuisen of the Natural Cultural History and Open Air Museum and myself determined various characteristics that proved beyond any doubt that the Van Niekerk Ponde were in fact FORGERIES. 1. 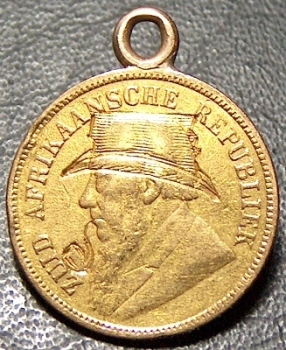 The dies were magnificent new genuine ones produced for the Zuid-Afrikaansche Republiek Mint by the Berlin Mint., but never put into commission by the ZAR, due, no doubt to the Anglo Boer War. Somehow or the other, Van Niekerk managed to get hold of a pair of these new dies. 2. If the ZAR Mint had issued the new dies, the breasts and the claws of each Ponde would have been full and perfect. 3. The dies must have suffered some damage, probably rust, and were ineffectively reconstructed by the forger. This proved to be the ultimate give away. 4. Irregularities include deficient rim ridges, faulty reconstructed beading and denticles and the disappearance of part of the upper loop of the nine of the date due the sandpapering or the polishing of the die. There are also blobs and striations (lines) that would never appear on the genuine coin. How come then did the S.A Mint certify the coin as GENUINE? I pondered this long and hard while writing Coinage and Counterfeits of the Zuid-Afrikaansche Republiek. Suddenly the answer hit me. Van Niekerk had given the Mint a genuine coin and not one from his own hoard. Van Niekerk might have continued to sell the â€œKruger Millionsâ€ Ponde with impunity but for the fact he was a great womaniser. As an act of revenge, his wife told the police of the story of the stolen dies and the forgeries. They raided his shop in 1976 and closed it. I was called as a State Witness at the trial, as were other prominent numismatists such as Dr Bickel. Dr Annadale gave evidence for the accused. The hearing was completed and the case was postponed for judgement. It seemed that Van Niekerk would be acquitted, so a former school teacher who had at one time been a partner of Van Niekerk, and who could not tolerate this possibility went to the police. He told them that if they took him to Italy, he would show them where the gold had been bought and where the forgeries had been struck and where the dies were buried. The police returned to South Africa with the stolen dies and all the evidence needed to secure a conviction. Van Niekerkâ€™s advocate insisted that the magistrate had to make his judgement on the facts before him, since the hearing of evidence had been closed and the trial could not be re-opened for further evidence. There was talk of Van Niekerk being re-arrested as he left the court, and of the new evidence being presented at a new trial. The magistrate found Van Niekerk GUILTY of FORGERY, but postponed sentence for five years. There appears to have been some form of plea-bargaining, and Van Niekerk agreed to close his shop permanently and never to deal in coins again. Van Niekerk retired to Durban where he sold works of Art, no doubt all genuine. He died before the return date for sentence. His 1900 forgeries enjoy the unusual distinction of being far better than the genuine coin. Do you possess a genuine or a forged 1900 Pond. Well if you have one with well defined eagles breasts and if it looks prroflike, then the possibility is, you have one of the Van Niekerk forgeries. I have two of these coins in my collection which I purchased many years ago from a dealer as such. A lot has been written about the Veld Pond in recent months. Some of the articles are very good, but with a lot of assumptions and discrepancies. One of the articles states that a person who works with Gold is called an "Essayer" when clearly a person who works with Gold is called an "Assayer". Signing of ME after a signature does NOT denote Master Essayer but according to General Muller, Mechanical Engineer. Some writers talk of the mintage of the Veld Pond as being 530, yet on their Web sites they say it is 986. I have been fortunate to have in my possession, copies of original letters from General Muller, Alexander Marshall, W Barter P.J Kloppers and Eldin Sergeant. All have some reference to the Veld Pond. Towards the close of the Anglo-Boer War coined gold had become very scarce. To a considerable extent, the forces in the field were dependent upon the natives for their food supplies, especially mealies. The natives, however, were not willing to accept the current inconvertible government notes, which strangely enough were called â€œblue backsâ€ though they were not blue at all. They demanded gold coin for their products and actually preferred â€œthe pounds with the horse onâ€ i.e. British sovereigns. The government at the time still possessed a small quantity of gold in the form of bars. General Ben Viljoen, who was in command of the forces in the Pilgrims Rest area, had also had the gold plates of the mines in the region scraped, which had yielded an appreciable quantity of gold, while some was also obtained from the alluvial digging in the vicinity. Some of this gold General Viljoen had been able to dispose of but when General C.H. Muller took over the command some Â£500 worth was still on hand which could not be realized. Ways and means had therefore to be devised of turning this gold to use. General Muller consulted Field-Cornet A.G.E. Pienaar on the possibility of converting the gold into coin. There were some mine workshops on hand containing various pieces of machinery that might be adapted for the purpose, and fortunately they had an engineer, Mr W. Reid, and several other persons with them, who could help on the mechanical side. Accordingly it was resolved to proceed with the coinage of pound pieces having â€œZ.A.R 1902â€ on the one side and â€œEen Pondâ€ on the other. Mr Pienaar was appointed chairman of a Mint Commission, which was to supervise the venture, and was assisted by various other members whose names he had suggested to General Muller. The commission was instructed to make the necessary arrangements and to get everything into order, but no coinage operations were to be begun until the approval of the President and the Government had been obtained. Within a week the necessary authority was received and thus the â€œStaatsmunt te Veldeâ€ (The State Field Mint) came to be established and Mr P. J. Kloppers appointed â€œHoofd van de Staatsmunt te Veldeâ€ (Head of the State Field Mint). In addition General Muller gave orders again to scrape the gold plates of the local mines so as to obtain an adequate supply of gold for the coinage operations. Mr Kloppers, who had been giving thought to the matter, at first had an idea merely to refine the gold, rolling it out, cutting it up into small square pieces which were then to be offered to burgers in the neighbourhood in exchange for gold coins, the idea being that these pieces would be exchangeable for gold coins again after the the war. As an inducement, it was intended to make these pieces of slightly higher bullion content than the pounds. Upon further consideration, however, it was felt that that round discs would probably be more readily accepted. Later he thought that the discs would more nearly resemble a coin if a stamp were impressed upon them. Finally he even deemed it desirable to give them a milled edge, not only to obtain a closer resemblance to coin, but also because the process involved helped to regulate the size of the coins. After much experimenting along these lines, and after a measure of success had been obtained, Mr Kloppers was ready to proceed with the task entrusted to him. The mining machinery of the Transvaal Gold Mining Estates, Ltd at Pilgrims Rest was electrically driven, but had been put out of order at the beginning of the war. Similarly, essential parts of the machines had been removed. Nevertheless, there was much material left which could be adapted and which came in most useful. Amongst other things was found a hand-punching machine originally used for striking round holes for rivets into metal and which worked on the screw and press principle, like a copying press. Similarly there was an electric lathe which could however also be worked by hand. This came in most useful for making a punch to strike holes of a diameter slightly less than a pound piece. With the help of these two machines it was therefore possible to produce the gold discs or blanks which would ultimately become the veldponde. A furnace was at hand, as also crucibles, while a small hand operated rolling press was put together by which the cast gold bars could be rolled between two cylinders into strips of suitable thickness for the punching of the blanks. On the mechanical side Mr Kloppers had the assistance of two burghers, Messrs W. Reid and D. Graham, who acted as mechanic and smelter respectively. In addition, an American assayer, Mr W. Cooney, helped at the outset with testing of the fineness of the gold. Later on, however, this was no longer necessary as the gold had been refined and brought as nearly as possible up to 24 carat. The complete coining process involved the melting and refining of the gold in the furnace house of the mine. The refined gold was poured out of the gold crucibles on to flat stones. Thereafter it was thinned down in the small hand operated rolling mill, which was a very difficult task. As the gold thus obtained was hard and brittle, it also had to be annealed by a process of reheating and slow cooling. Considerable difficulty was experienced with the Lydenburg gold which developed large and small cracks during the rolling process, thus making it useless for coinage. After much experimentation it was found that by adding a little mercury sublimate, an antiseptic from the ambulance stores, to the crucibles, the gold became soft and could be rolled without cracking, though the sublimate immediately evaporated in the process. The rolled gold was thereupon subjected to the punch, which produced the gold discs or blanks, the scrap being re-melted and used over again. The discs having been slightly smaller than the pound but also slightly thicker and consisting of almost pure gold, had a gold value of approximately 22/- each. In the meantime the dies had also been produced by Mr Kloppers. At first two steel cylinders were made which fitted into the punching machine, and could take the place of the disc punch. The bottom cylinder was rigid, while the top one could be pressed down on the lower one. After the cylinder had been turned, the steel was softened by means of heating and slow cooling to make it soft enough for the engraving operations. The official designs â€œZ.A.R. 1902â€ and â€œEen Pondâ€ respectively were then engraved upon the two cylinders in reverse. Thereafter, the completed dies had to be hardened again by means of re-heating and sudden cooling in water or oil. This proved to be one of the most difficult tasks of the whole operation. For want of the necessary equipment, his dies cracked six times in succession during the cooling process. Mr Kloppers was prepared to abandon the plan, when he decided to make one more attempt which actually proved a success. So successfully had they been hardened that this one set could be used throughout the existence of the Field Mint, without showing any sign of wear. As the blanks would have tended to expand laterally when inserted between the dies and subjected to the pressure of the hand press, and would thus have increased in size beyond that of the pound pieces, and also have left raised edges around the impressions, Mr Kloppers saw the necessity of having a collar, which would at the same time give the coins a milled edge. A circle, ring or collar of the size and depth of the pound piece was cut out of steel. The inside was neatly grooved by means of a file. Thereupon it was hardened like the dies and fitted over the lower die. The gold blanks or discs were now placed inside the ring or collar and over the lower die, while the upper die was brought down forcibly upon the blank be means of the screw. The discs still expanded but could not go beyond the size of the collar. As a result of the pressure applied, the gold was forced into the grooves of the collar, thus giving the coin the desired milled edge too. Naturally it needed experimentation to determine how much pressure had to be applied. Though a bigger machine was adopted for the purpose later on, and yielded better results, it remained a most arduous operation as everything had to be done by manual labour and the sweat of their brows. Throughout this production process, the weight of the coins was checked repeatedly. In all 986 veldponde were produced in this fashion. Upon their completion they were partly forwarded to the Government and were partly exchanged among the burgers of the Rand commandos for ordinary pounds. As stated earlier, the activities of the Field Mint were subject to the supervision of a Mint Commission of which Mr A. G. E. Pienaar was chairman, the other members being Messrs. J. S. Joubert, P. Minnaar (Secretary), and J. H. Barter. (Treasurer). In the mornings they would weigh gold and deliver it to the Master, while in the afternoons they took delivery of the dayâ€™s output and the gold scrap, all of which was duly weighed again. In addition, they reported to General Muller from time to time. So conscientious did everybody concerned carry out his responsibilities that during the whole period of the existence of this Field Mint, less than two ounces of gold were lost. In recognition of their services, the Government presented a clover leaf shaped medal, which had been produced by the Field Mint, to General Muller, Messrs A. G. E. Pienaar, P. J. Kloppers, W. Reid, D. Graham, W. Cooney, A. Marshall and W. Barter, respectively, with the veldpond monogram â€œZ.A.R. 1902â€ impressed in the centre of the one side and the inscription â€œGeschonken door de Regering der Z. A. R.â€ (Presented by the Government of the S. A. R.) around the monogram while on the other side there appeared â€œStaatsmunt te Velde 1902â€ and the name of the recipient. In addition, Messrs Pienaar and Kloppers received a further medal consisting merely of a veldpond disc, with the veldpond monogram, â€œZ. A. R. 1902â€ impressed on the one side. On the other there appeared, in the case of Mr Pienaar, his name and â€œStaatsmunt te Veldeâ€, and of Mr Kloppers, his name and â€œMuntmeester, Staatsmunt te Veldeâ€. When peace was declared on May 31st 1902, there was still some uncoined gold left. As the Commando had not surrendered as yet, coinage operations were continued until June 7th or 8th, when only 5s worth of gold (the equivalent of a quarter of a pound piece) remained, which obviously could not be coined. This last remaining piece of gold has been in the possession of Mr. Kloppers ever since. The day before the final surrender, Mr. Kloppers personally handed the one pair of dies which had been used throughout the Mintâ€™s existence, to General Muller. So successfully had they been hardened that they were both still intact at the time, possibly also because they had only been used on virtually pure, soft, Pilgrims Rest Gold. The coinage presses were left behind at Pilgrims Rest, where the larger of the two, which had been specially adapted for the purpose, is said still to be found in the machine shop and to be actually in use. Through the centuries, lovers have chosen a variety of different mediums to express their love or affection for someone special in their lives. Some of the more popular “tokens of love” were carved wooden spoons, thimbles, pin cushions, and rings. Thimbles and pin cushions were acceptable gifts. Young men wanting to show their affection might then try to acquire the most ornate decorative thimble they could find to present to their beloved. Some had pretty floral patterns, others were embellished with enamel or jewels, and many were made of precious metals like silver or even gold. During the Victorian period the ever popular valentine card was introduced. This period also marked the peak of popularity for using engraved coins as love tokens. 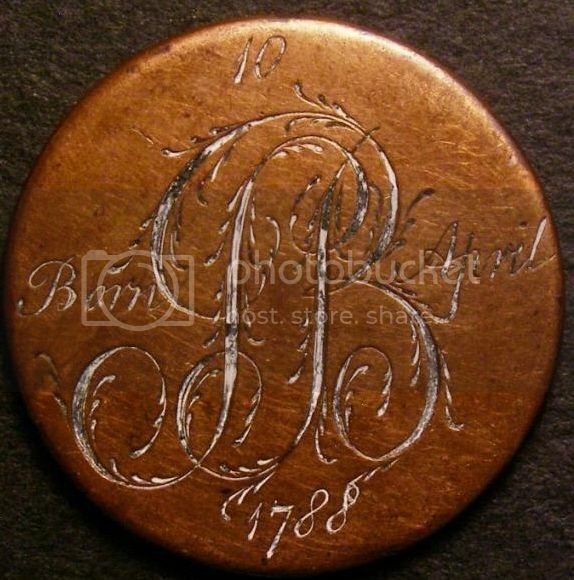 In the late 18th century and through the 19th century, engraved coins were widely given as an expression of love. Often, men could not afford to buy their sweetheart a ring, so instead, they would save up to purchase the largest coin denomination they could afford, personalize it, and give to their love upon asking for their hand in marriage. One side of the coin would be sanded down smooth and engraved with the girl's initials or sometimes their name. The coins sometimes had embellishments such as a border or other design added as well. The coins were carried by the woman throughout the marriage. Many times a hole was added and it was worn around the neck, or a pin back was added and it was worn near the heart. 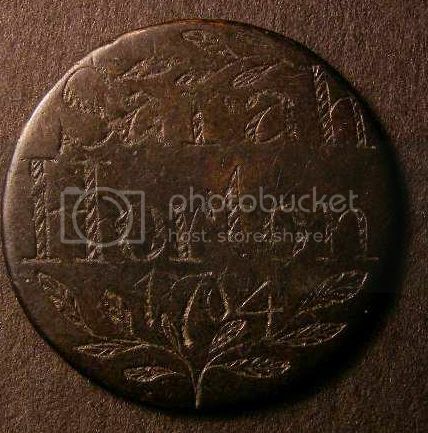 Since the engravings were generally done by common men (not trained artists), it is amazing to see the detail and quality of some coins. Engraved coins were also often given by sailors to girls as promises that they will come back to them after their journey, and so that the girl might have something to remember him by. The Love Token is a coin that has been smoothed flat on one or both sides and then hand engraved. Engravings are most commonly initials of the giver or the person receiving the Love Token. Names and dates were also popular and perhaps most special and scarcer were sayings and pictures. Some love tokens were embellished even further with stones, enamel, added raised metal, or cutout designs within the coin. These coins were made as keepsakes and mementos from the giver to the recipient. The giver, important date, place, or event was intended to be remembered through the love token; a commissioned testimony and executed one of a kind special engraving. Coins personalized for a sweetheart were given as an expression of love, and often as a proposal of marriage. These coins, engraved with their loved one's initials, or sometimes their name, were a precious and cherished gift. Some love tokens withstood the test of time and now, years later, they serve as a testament to a love that was - a romance of old. Of course if a coin is engraved on both sides, it becomes more challenging to identify if indeed it is a coin or a blank disc. Most South African coins have a reeded edge, so love token collectors accept the presence of a reeded edge to be a legitimate coin. The ZAR 1d & 3d and the Union 1/4d, 1/2d, 1d & 3d pose a problem with no identifying marks on the rim as they are smooth. Also, a coin that has been cut down into another shape (diamond, clover, heart etc…) loses its edge diagnostics. In these cases, it is up to the collector whether they want to accept it or not into their collection. Although it is traditionally believed that these coins were given by a man to a lady, they extended far beyond those traditional boundaries. They were also given by every imaginable family member as well as friends. A craze had sweet the country and school girls were begging and pleading for love tokens. Probably because the love token bracelet was the most popular form of love token jewelry and it took about eight to make a bracelet during the war. Engravings were executed on practically all denominations of coins, but the Paul Kruger 1s, 2s & half crown was the most popular denomination. There is some speculation as to the reasons. These silver coins were softer, thus easier to engrave than nickel and were a more precious gift than a nickel or the lowly copper penny. South Africa also produced a 3d and 6d made from silver and some engraved on these coins, but it was a rather small size and perhaps challenging for the engraver to fit a pleasing design so small. These denominations are scarcer to obtain. Remember, money was worth a lot more in those days.Gold coins were used occasionally. Truly rare and exceedingly scarce is the gold coin love token. A Kruger half pond and pond are sometimes seen with love messages, but they are very far and few in-between. This would have only been commissioned by a very wealthy man. 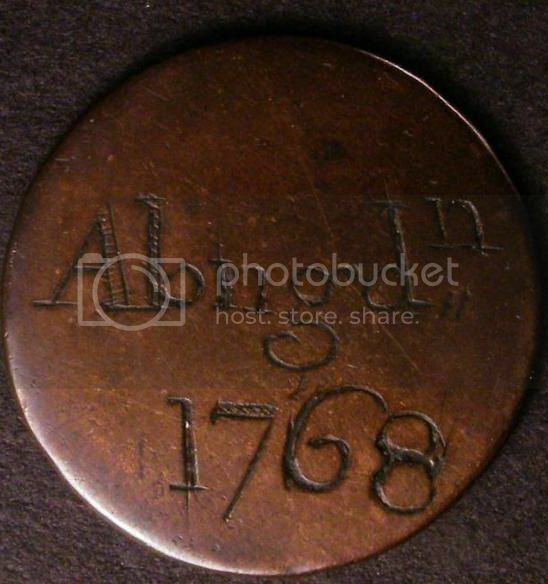 Interestingly enough, a few number of the copper coins was engraved as well. These are also very scarce. Whatever the host coin, the feelings and emotions were the same. Some could just afford to show their love more than others. 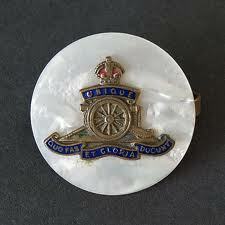 Boer War P.O.W coins are very highly collectable. Many depicting Kruger with a Hat and Pipe, some with Regimental emblems engraved some Cut Outs and some with personal greetings or messages. This period also shows us many enameled coins. Most of these POW coins were done by men captured and taken to POW camps in St Helena, Ceylon etc. With the many number of months spent in these camps captured as prisoners, and with the constant thought of their loved ones back home, many resorted to messages on coins and sent these back home to their loved ones. There are some spectacular art on some coins and all of these were hand done. Many look the same, but when closely examined you will see they are all unique as they were all hand made. 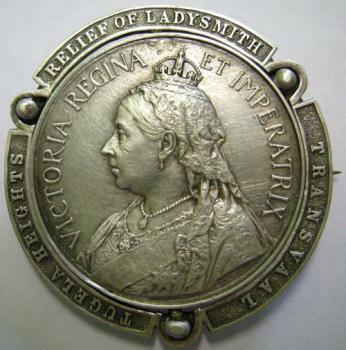 People were quite sentimental in the Victorian age and love tokens are an enduring testament to those feelings. 1. Education: The most successful coin collectors take time to learn as much as they can about numismatics. They not only study coins, but they study the dynamics of the market as well. To learn about coins, I suggest that you buy and read as many books as possible. You can supplement these books with specific catalogues that relate to your chosen field of collecting. (Banknotes, Tokens, Medallions, Coins) A serious collector might even go as far as creating a database of prices that relate to his specialty. Other suggestions for new collectors include subscribing to international magazines such as Coin World and Numismatic News or even the ANA. You should join the American Numismatic Association and use their library. Become friendly with other collectors and communicate with them, and don't be afraid to ask questions. 2. Specialization: It is too hard to begin a coin collection without having goals and boundaries. I have always been a strong believer that it is better to view numismatics with a "micro" perspective as opposed to a "macro" perspective. As an example, if you start by collecting ZAR, your "world of focus" becomes 59 specific issues. This includes the Two Burgers Ponde, The Sammy Marks Tickey, the 1900 Blank Penny the Two Blank Ponde and the 1898/99 Overstamp Pond. It is realistic to assume that an intelligent individual, who is willing to commit time to this area of study or collecting, could become relatively knowledgeable in ZAR coins within a year or two. To become similarly knowledgeable in a larger field of study such as all South African minted coins produced between 1874 and 2013 will require many more years. Becoming a well versed specialist will allow you to level the playing field between you and dealers and it should enable you to make better purchases. 3. Patience: We live in an era of immediate gratification. New collectors often have the urge to jump in very quickly and complete their sets as fast as they can. The best coin collections are built over the course of many years. Sometimes, it is possible to purchase a number of great coins in a very short period of time. But most times, the opportunities to purchase great coins are few and far between. The new collector should avoid the temptation to buy the "wrong coin" just because he needs it for his set and he does not want to wait. Impetuous decisions are invariably incorrect and usually prove costly over the course of time. 4. Connections: It amazes me how many serious collectors get their meatiest information on topics such as pricing, market conditions and future trends from third-hand sources such as newsletters, coin magazines, coin brokers and certain internet sites. This information is almost always well out of date and totally biased. Remember that most newsletters which recommend specific coins are written by dealers who have taken a position in what they are touting. Look at Mandela Coins. The only way to get real information about the coin market is from a dealer or collector who regularly attends shows and auctions. This discounts most coin brokers as they get diluted information from their superiors and then pass on these half-baked truths to the masses. I personally view it as my duty to pass on accurate information to our members. Conversely, I will not willing pass this information onto tire kickers or suite case dealers. The best way to get good information is to establish a good working relationship with a well-connected, reliable dealer or collector. 5. Thinking Like A Collector: Anyone who approaches numismatics with a dispassionate attitude is a virtual certainty to lose money. Conversely, most pure collectors make money; often times in spite of themselves. This is because they buy coins for the right reason, they love them. They buy what interests them and they carefully research their purchases. They know for example, that a coin similar to one they just purchased sold for 10% more at a major auction. They know that they are not buying overhyped coins at the height of a promotional period or phase. They are not buying coins just because a voice at the other end of the phone told them to and they are not buying them because this person told them their new coins would increase in value 50-75% over the next three years. Again Mandela Coins, How Many People Got Caught. Remember this rule because it may be the most important one of the ten rules, learn to think and act like a true collector and you will have more fun now and have a better chance to expect a reasonable profit on your purchases over the course of time. 6. Connoisseurship: I define connoisseurship as the ability to discern true quality in a specific field. In numismatics, the connoisseur is able to determine which coins have the most aesthetic eye appeal and which, literally, stand apart from the typical piece. A numismatic connoisseur for instance is able to appreciate a truly original gold coin with rich crusty coloration. He is able to innately sense that 150 year old coins do not have to be big and bright in order to be desirable. Connoisseurship is a natural ability. You either are able to naturally determine the best or you are not. If you are not a born connoisseur and very few people are then you should find a dealer who has this ability to assist you with your purchases. I would estimate that less than 5% of all coin collections are connoisseur quality and those that are typically the ones that show the greatest financial appreciation over the course of time. Incidentally, my user name in the coin industry is “coinoisseur”. 7. Learning to Grade: I have seen people spend thousands of Rands on rare coins without having the slightest idea how to grade. They put their complete trust in dealers and in third-party grading NGC,PCGS & SANGS. Frankly this attitude leaves me baffled. If I do not feel very comfortable grading a specific type of coin I do not buy it. As an example I think ZAR GOLD are extremely hard to grade. To be totally honest I have difficulty with knowing weak struck coins. In some cases a coin that looks VF to me is graded EF or AU and described as weakly struck. My solution, I don't buy them. By the same token I feel that I am a good grader of ZAR silver and bronze. So I buy a lot of them. There are some simple rules when it comes to grading. First and foremost you need to view as many coins as possible. Look for defects, scratches, rim nicks, polishing, tooling, mounting, artificial toning and improper cleaning. I would recommend that you attend shows and auctions if possible and carefully look at coins and grades or visit other collectors and study coins together. I would make the decision to specialize in a certain area of collecting (ZAR, Geo V, Geo VI etc) so that you have fewer types of coins to learn to grade. I would try to learn grading tips from the dealer that I buy the majority of my coins from. Finally, I would always remember that while third-party grading is a great safety net for the beginner (authenticating, protecting etc) there is nothing like your own knowledge. 8. Thinking Long Term: Coins are a terrible short-term investment. Even if you buy coins at a show it’s usually retail marked-up, you are still paying at least 10-20% over typical wholesale prices. This means that any coins that you purchase have to go up at least 10-20% for you to break even and you have to find a buyer. When coins were heavily touted as investments in the mid 2000’s, the common logic was that you needed to hold it at least three to five years. I would suggest that you should plan to hold your coins at least ten years and preferably more. The greatest collections Mitchell, Hills, Bakewell, Wilson etc, were built over the course of fifty+ years. I consider myself a guppie in a shark tank. 9. Quality Not Quantity: Let's say that you have a coin budget of R10,000 per year. I would suggest that you purchase three or five really nice R1000-R4000 coins each year, than forty R250 pieces. The coin market of the future will be even more predicated on quality it already is. High quality coins will become harder to find and consequently more expensive. The decision to purchase the best coins you can afford will prove to be very intelligent over the course of time. 10. Buying the Best You Can: Understand this carefully if you are new to coin collecting and you know next to nothing about coins and the coin market, you have no business purchasing R10,000+ items. I would strongly suggest that you start small and take at least three to six months to study the market. Once you feel more comfortable, you can take a bigger plunge into the coin market. So what are sweetheart brooches? Sweetheart brooches are basically small brooches depicting the regimental (the unit in which he served) or other service crest of a soldier, sailor or airman, and were worn by military wives or girlfriends. They were particularly popular around the era of World War I, and they were often given to wives or girlfriends ('hence the name 'sweetheart') by servicemen as mementos and reminders of their absent loves. For soldiers during World Wars I and II, exchanging letters and mementos kept them connected with the home front and strengthened bonds with friends and loved ones back home. They would be worn by the lady as a token of fealty and regard, and also to show their pride in having a husband or sweetheart who was serving his country. 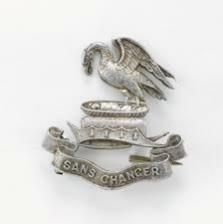 Whilst regimental or other service insignia are generally self-colored base metals, it is not unusual for sweetheart brooches to be made in precious metals (silver or gold) and colorful enamels.A sweetheart brooch was a commonly exchanged jewellery item during both twentieth century world wars. 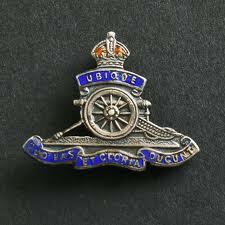 The brooch tradition, some say, began with the Boer War, though soldiers and loved ones have exchanged various small tokens of remembrance for ages, like silk handkerchiefs, thimbles etc. 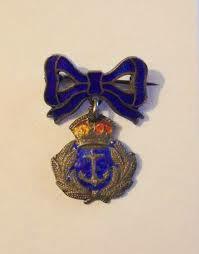 There are, furthermore, non-military sweetheart brooches, which were popular especially in the Victorian era. As wartime tokens of remembrance, sweetheart brooches symbolized relationships, pride, and served as a visual symbol of the constant stream of thoughts flowing between service-people and civilians. The brooch wearer reminded others who saw her of an important relationship, though her partner or relative was absent. I like to think, furthermore, that seeing the brooch on one's own clothing in the mirror or touching it, whether with an unintentional graze of the hand or purposeful contact, was part of a sweetheart brooch's emotional "technology." Many kinds of jewellery offer such transmissions of feeling or thought, whether helping to recall memories or gather, momentarily (as when we slide a locket along a necklace or caress a wedding ring), an expansive set of emotions.The tradition of sending mementos home to love ones from the war front began in during World War I and intensified during World War II. Sweetheart jewelry was machine made and sold to servicemen abroad, but many pieces were also handcrafted in the trenches. Although prices have risen during the recent past, many sweetheart jewelry pieces can be found reasonably priced. Collecting sweetheart brooches is very collectable. Wonderful article Anthony – thank you. Love- or sweethearts tokens (engraved coins) date from Roman times but engraving sweetheart’s names on coins probably reached the top of the popularity stakes during the 1700s. These were obviously not all so called “Trench Art” or “POW” pieces as such, but mostly just ordinary lover’s keepsakes to each other. The most stunning (but very saddening) pieces are those send from those on death row awaiting execution to a lover ouside as a last goodbye & piece of remembrance.